Today is a boring day! Question is: "Anu ang magandang gawin kapag wala kang magawa?" Sagot: " Pinturahan ang buong bahay gamit ang cutix." Pero wala akong cutix. So, after washing my clothes, without itinerary I planned to visit all the Museums in Manila including Ayala Museum in Makati City but that plan ended up visiting Marikina Shoe Museum (with 50 pesos entrance) and the two Buildings of the National Museum of the Philippines because they both have FREE Admission. My first stop was Marikina Shoes Museum where the 800 out of 3000 pairs of Imelda Shoes collections can be found. They are preserved and treated with value by the Marikina government. Many of these pair of shoes are international brands such as Ferragamo, Givenchy, Chanel, Christian Dior, Charles Jourdan and Bally. Of course the prominent local brands like Rustans, Jemelyn's and Marlet are also on display and can compete with those international brands. Photos of Imelda Marcos taken with different world leaders from various world events are displayed at the Museum together with her elegant shoes collection. Did you know that an average of 10 pairs of shoes were given to Imelda Marcos by the local shoe makers per week. week? Now you know. When Imelda was still the First Lady, she is active in promoting the shoe industry in Marikina. Manunggul Jar excavated in Tabon Cave, Lipuun Point, Palawan. 890-710 BC. Inside Museum of the Filipino People I found a collection of historical artifacts dug and discovered underground, some are from the caves like the famous Manunggul Cave and the others were recovered from few ship wrecks. There are burial jars, bowls, plates, candle holders, mortar and pistles, vases and other things used centuries ago. Others are personal collection of old coins, paintings, cabinets and many others. This is my third visit at the Building of Anthropology or the National Museum of the Filipino People. I can't explain why my focus went to the fabrics, textiles, garments and other ensembles hand woven by the ethnic groups in the Philippines. Photo above is an example of an improvised weaver made of wood, manually controlled by the talented weavers to create a spectacular pattern and design. The embroidery, colors and designs on a costume signifies the luxurious and the grandeur living of the wearer as it emphasizes their social status, like the world class Inaul Cloth from Maguindanao. Photo above is another example of a hand woven cloth made from different kind of fibers. Cloth and garments are also being used as a funeral attires. There are evidences excavated inside the few caves in the Philippines, like the Banton Cloth discovered in Banton Island, Romblon, the oldest burial cloth in the South East Asia. Estimated date of this assemblage was from 13th to early 14th century. Today, there are burial practices where they use burial cloths in the Cordilleras and Abra provinces that are being preserved. Loren Legarda Collection of the finest local dresses is one of the must seen collection at the Building of Anthropology (photo above). Left: Mandaya ensemble being worn on a special occasion. Upper garment is made of commercial cotton and dyes, embroidered and embellished with beads and old coins. Lower garment: woven abaca and synthetic dyes. Third from the Left: are Aklanon inspired Baro at Bolero and Baro at Panuelo made of woven pina, dye, sequins and beads. Right most is a Maranao inspired ensemble made of commercial cotton, and embroidered with okir designs. My last destination was the Old Senate Building, just few meters away from the Anthropology Building, where the prominent artworks of Juan Luna, Fernando Amorsolo, Guillermo Tolentino, Felix Ressurrecion Hidalgo and many other locals artisans are on display. Each of the paintings and sculptures are properly presserved to make sure that the future generation can still see these treasures. Photo Above: Spoliarium by Juan Luna. Taken on May 7, 2016. 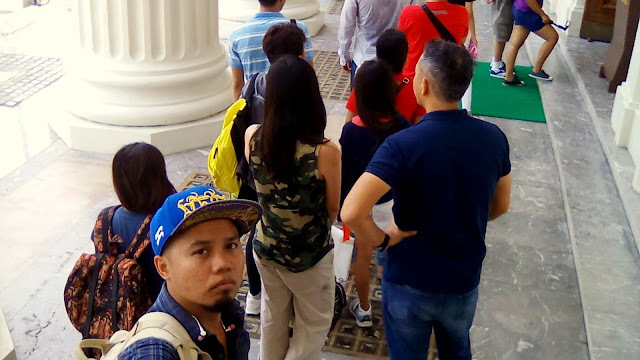 My solo travel from the Shoe Capital to National Museum in Manila was very rewarding though it was a hot sunny day. 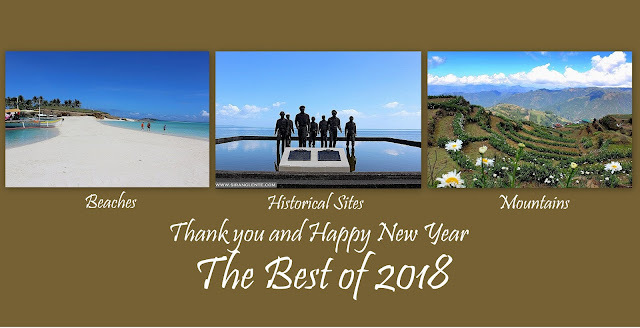 I am also happy to see a lot of people falling on the line at the entrance of the museum, a good indicator that despite of the latest technology there are still people who want to see the actual historical and treasures of the Philippines. I encourage everyone to visit the National Museum of the Philippines and its branches nationwide because entrance is NOW FOR FREE.